Never have I agree more with the JSEB and their editorial on October 28. A while back, Mayor Ardis has talked about drinking tne Kool-Aid in the past. Spend an ESTIMATED #106 million for track, etc. and another $28 million for additional equipment purchases plus an ESTIMATED $2.6 yearly (and growing)operating budget? For MAYBE 75,000 people count trips a year. Ardis is listening too much to Ray LaHood who I thought might have come up with a winner in a four lane highway to Rt. 80 around Chillicothe when the engineers at a meeting I attended said the cost would be $300 million compared with a direct route that the JSEB supported costing $800 million. Within ONE year, the engineers re-estimated the cost thru Chili and Hennepin to be $600 million and later even more. When they went over $300 million, they lost me. But the consultants and the engineer keep making a LOT of money on all thes plans, like the ring road plans, the maps now grown dusty at the EDC while new "studies" by engineers and consultants" are now in progress. And in a state that is close to bankruptcy. 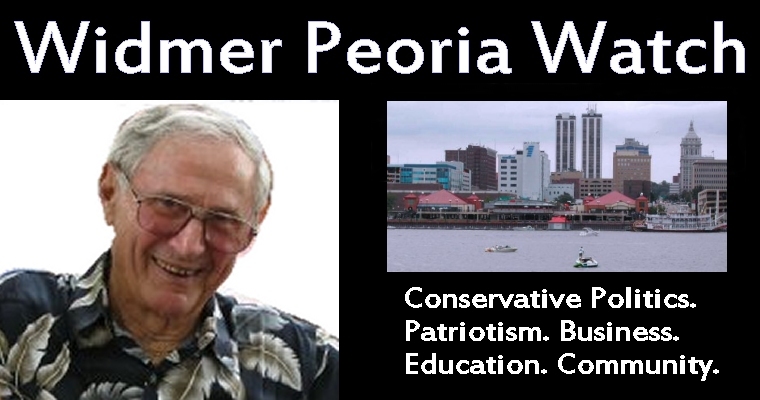 This mayor and city council may go down as one of the worst in Peoria's history with round-abouts, a warehouse district that will greatly enrich a 2-3 developer, some favored consultants and engineers, more consultants and more engineers, a new Equal Opportunity Training Center in the planning stage, a high risk on an expanded downtown hotel with an ESTIMATED $6.1 million runway connected to a Civic Center that lost $4 million plus last year, an expenditure of approximately $50 million, (includes the cost of borrowed money) on the still-in-progress city library system, an "iffy" museum that 50% of the voting population said they didn't want downtown, Cubs Food, more hiking and biking trails, uncompleted despite the Peoria Park District statements that they have the funding, a rising garbage fee and some want to re-visit buying the water company,and I'm out of breath. Oh yes, a large budget deficit that maybe the new city manager who left his position as Administrator of the County Board (on which I served 10 years) in a relatively strong financial position, may help them out somewhat. I say somewhat because he doesn't have quite the power at the city that he had at the county. Yeah, cha-ching is right. I again quote Don Axt who aptly named Peoria a number of years ago as "Dreamsville" and predicted a baseball World Series between Peoria and Rockford. (Pete Vonachen's baseball team drew 188,000 or so last year, slightly more than they drew at their old Meinen Field location. Since so much of the money to support the city come from local taxes, it might be interesting to some of you to see what councilpeople and mayor and and city manager pay in, say, property taxes. And yes, all of those who complain about lack of security and voted or supported all this "stuff", I remind you that our city police chief said the money spent on the libraries alone would have allowed him to put twenty five, that's right, 25 additional officers on the streets of Peoria. Anyway enjoy the cha-ching. It's just borrowed money. Some of it might even be imported from China. And another oh yes. Whatever happened to the $5 million That Governor Quinn was en route to Peoria to present to the museum? Good question. Also, I note the museum is rather mum on financing except to say the 'BUILDING' IS ON BUDGET. Of course it is. It's spending the quarter cent sales tax amounting, at the time being, to $41 million+ of the overall estimated $90 million. What about the under-funded endowment?? So says Steve Forbes and many other knowledgeable people. "President Obama thinks the road to reelection lies in a mix of FDR and Truman. FDR bashed "economic royalists," who were "selfish" and who had met their match" in the great the great man. FDR won in a landslide. Truman shrilly campaigned against a "do nothing" Republican Congress and pulled off the biggest upset win in presidential history. Sadly for Barack Obama, this stuff won't work in 2012." Do nothing Republicans? He and his supporters need to read more honest history. And Truman, the guy that went broke in business 5 times or so, trying to tell business people how to run their businesses? This article by Forbes is in the November 1 issue of Forbes Magazine. Along with the Wall Street Journal, they are two media's that all informed voters should read, Republicans, Independents , Democrats and especially, the Occupiers. The Occupiers, called BOBB, or Barack Obama's bosom buddies are angry, if only they knew exactly who they were angry about. Most of them appear to know why they are disillusioned but if they are attacking capitalism why aren't they attacking Hollywood, that over-fed Moore nut, Nancy Pelosi, Barney Frank, Chris Dodd, Maxine Waters and there commander-in-chief, BO himself??? Why not? Because they thrash around wildly striking out knowing that something is stinging them but they cant distinguish what is is, bedbugs or African bees. It's not the honey bees that provide a good they are to blind to see. Now, the bums and radicals among them are turning to violence. And the union bosses and Democrat bosses are trying to capitalize on their chaos. What came before what came before what came before? Read 1491 by Charles Mann available in a second reprint in paperback. Among the many revelations in this book is the environmentalist myth that Indians were passive and living lightly on the land before the incursion of the white man. Central America was probably one of the most populated areas in the world, prior to the arrival of the Spanish and by 1500, the Inca Empire was larger than that of any other on Earth, including China. What caused the population of the early arrivers in the North America to shrink so rapidly? Not guns but disease, especially smallpox. The Europeans had built up immunities, the last of the early arrivals like the Indians, Incas, had not and thus died in large endemics. What happened to the pre-Inca and pre-Indians can only be speculated on but diisease, cold, (glaciers) volcanoes, drought and famine, and warfare, probably played major roles. Judith Shanahan from Metamora on "Improve Current Roads Instead of Building New Ones', Stephen A. Bill from Washington, "Jobs Bill is a Short-Term Spending Trap", and Douglas H. Hanbury from East Peoria, "Occupy Wall Street Protesters Are Misguided". Thumb up and write more often. Thumbs down to my friend and County Board Member Democrat Phil Salzer from Peoria, "Get the Facts Straight About Obama's Jobs Bill". We have got the facts straight about the American Jobs Act and the Recovery act. That's why, if the Republicans can get their act together and with the support of we Tea Party people, we just might stop spending more than we take in. Even doing that will not pay down the debt. We are paying over $4 billion dollars a year and growing just on the interest on federal borrowed money, not counting states like the Democrat controlled and corrupt State of Illinois. And cities like Peoria and the 8, I believe that have already declared bankruptcy or are near default. Phil is great on spending OPM. 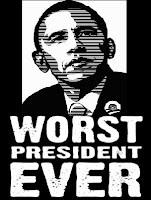 Unfortunately, it is people like him that are causing this great country to slide rapidly to socialism and bankruptcy. Then there is Democrat Mike Everett, a local union boss, who wrote, "Rebuild America, Cut Unproductive Congressmen First", Republicans, of course, and some Republicans I agree. Mike would like to unionize all businessmen in Peoria, the public sector is already unionized and look at the shape Peoria is in. If you believe the movers and shakers, Peoria is in good shape, wait till the school tax bills hit the property owners and the museum and hotel do exactly like I predicted the RiverPlex and the ball park (JS article dated 5/30/07, "O'Brien Field Fails to Attract Growth) and my $50,000 investment I made when the club was at Meinen Field, is gone. 'O'Brienville', "Lack of Development no Surprise to Some Readers", JS 6/1/07. It was certainly no surprise to me as I wrote in a LTE to the JS, ""New Ballpark too much of a risk" and the JSEB echoed my feeling by writing, "Why should city risk millions on stadium". O'Brien is getting a free ride on the name. Hard to say whether it helps his dealerships or not. With attendance falling to near Meinen Field numbers this season, we will probably learn why the ball park is consistently not meeting it's projections. Well, it's the economy, isn't it??? From my friend, Bob Huschen. How true. I just learned a new word and wanted to share it with you! Nobody else may know what it means, but you will! It's way past time for a type of flat tax that would benefit private growth and expedite government reform. The Republicans are at the forefront of these changes. A flat tax, Cain's 9-9-9 plan, both with a little tweaking and a selling job would be a huge improvement over the unfair system we have lived with for years. Don't expect everyone to get on board. Just enough to get conservative Republicans and a few conservative Democrats elected to kill the Sarbane-Oxley and Dodd-Frank "reforms", amend the Davis-Bacon labor bill, etc. And slow down the radical union bosses assault on the public sector and their own sometimes naive members. What are conservatives? An over simplified answer would be, people who don't spend more than they take in and when in deep debt, spend only on high priority projects such as security and infrastructure, with less government regulations on both the private and public sectors. The folks who are getting free stuff, don't like the folks who are paying for the free stuff, because the folks who are paying for the free stuff can no longer afford to pay for both the free stuff and their own stuff. Now..The people who are forcing the people who pay for the free stuff have told the people who are receiving the free stuff, that the people who are PAYING for the free stuff, are being mean, prejudiced, and racist. So.. The people who are GETTING the free stuff have been convinced they need to hate the people who are paying for the free stuff by the people who are forcing some people to pay for their free stuff, and giving them the free stuff in the first place. The United States of Americas officially became a Republic in 1776, 235 years ago. The number of people now getting free stuff outnumbers the people paying for the free stuff. We have to change that, in 2012. The Perkins boys send out a lot of interesting and sometimes funny stuff. Example: A nice calm and respectable lady went into the pharmacy, walked up to the pharmacist, looked straight into his eyes and said, "I'd like to buy some cyanide". The pharmacist asked, "Why in the world would you need cyanide?" The lady replies, "I need it to poison my husband." The pharmacist's eyes got big and he explained, "Lord have mercy! I can't give you cyanide to kill your husband, that's against the law? I'll lose my license! They will throw both of us in jail! All kinds of bad things will happen! Absolutely not! You CANNOT have any cyanide!" The lady reached in her purse and pulled out a picture of her husband in bed with the pharmacist's wife. Oh, well. But if you want good financial advise, with a little "stuff" thrown in, subscribe to Perkins Capital Management, 700 East Lake Street, Wayzata, Mn. 53391-1769. But then, if you are a "hard" Democrat, probably not. Obama Raises Staff Salaries 17 to 83%???? According to a friend who claims the Drudge Report reported 17% to 83% raises for 20 Obama staff members. Can this be true? If so and you know an "occupier" please forward. The ‘occupy’ agitators continue to disrupt business and break laws across the country as part of the ‘occupy’ protests. They are disheveled, dirty, and continue to show no respect for the land that they occupy. They litter and then expect someone else to clean up their mess. They are the kind of selfish and inconsiderate people who poison workplaces and neighborhoods. They disparage the greatness of this country even as they enjoy the benefits of our unique philosophy. Their protests go on without end because they are either unemployed or are being paid to maintain their presence. In contrast, business actually competes to host Tea Party functions because we are considerate and spend money. We are law abiding, we secure permits for our rallies, we leave the places that we rally cleaner than we found them, and then we return to our jobs. 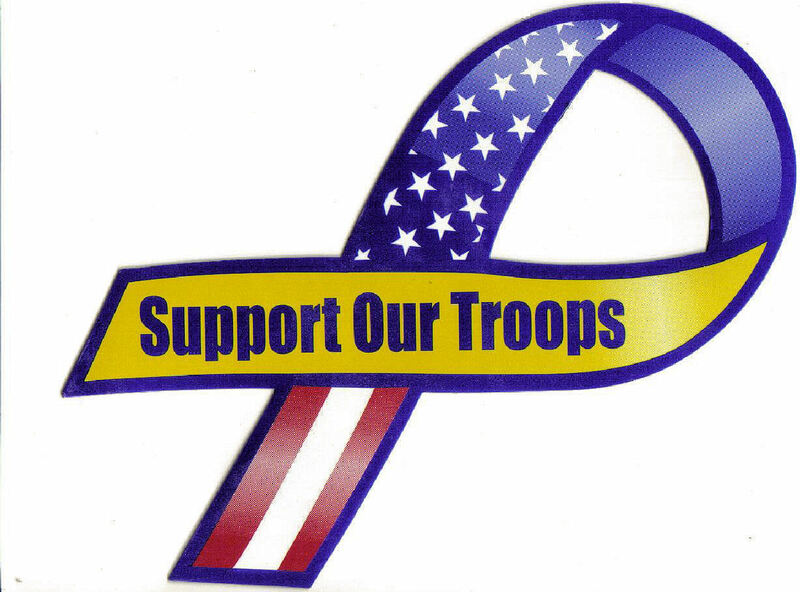 We are patriotic and honor our military. We proudly sing the national anthem and say the pledge of allegiance. We are frustrated with corruption and dirty politicians, but we are thankful for the opportunities that this great nation has provided us. We are not embarrassed to cling to our guns and religion. The Tea Party has successfully begun a hostile takeover of the Republican Party by challenging and beating corrupt establishment Republicans. In contracts, establishment Democrats have endorsed and cheered ‘occupy.’ These are the facts, and because we believe in the greatness of the American people, we know that if we give them the facts they will identify with us, the Tea Party! Yet despite these facts, the big-government propaganda machine has been driving a completely different narrative. 1. Go watch the ad…. multiple times! And share it with your friends! The more views we get, the more free exposure the ad gets! 2. Make a generous contribution to help us buy airtime across the television for this important ad and the other ads that will follow! P.S. Our strength is in numbers. Please help our efforts by forwarding to a friend. Passed on to me and others by my friend, Tom O'Neal. Send this sensible solution to all your friends and contacts. Serving in Congress is an honor, not a career . THIS IS HOW YOU FIX CONGRESS ...If you agree with the above, pass it on. If not, just delete. You are one of my 20+.. Yes, it is a huge scandal and the list of characters involved, all Obama's contributors, is growing. Obama's Energy Secretary keeps pouring money into "green" favorites. Tonopah Solar Energy recently received a federal government $737 million loan guarantee wile Sempra Energy received a $330 million loan guarantee. When completed, Sempra will provide 45 permanent jobs at a cost of $1.1 billion. At the same time, The Energy Information Administration estimates that new natural gas-fired plants will create electricity at a cost of $63.10 per megawatt hour hour compared to Obama and his green's favorites - solar thermal plants and wind - which cost $243.20 and $311.80 per megawatt hour. Obama's Energy Secretary, Chu says, "If we want to be a player in the global clean energy race, we (taxpayers) must continue to invest annotative technologies, that enable commercial-scale deployment of clean, renewable energy like wind and solar." We have a government policy in this country to always follow the leaders like World-Com, Enron, Adelphia Global Crossing and banks and corporations to big to fail and Obama Democrats. Now we have Solyndai, a billion dollar cost or more to tax-payers and the private sector vendors who will not be paid. Plus a good likelihood that others will follow like FireFly here in Peoria. The liberal media has not nor ever will, report the actual total loss to all involved in the "burning out" of can't fail Firefly. Peoria County would have had a greater loss if the hadn't used the Keystone Loan Fund. Where did the Keystone Loan Fund come from? Guess - the near bankrupt State of Illinois who graciously turned it over to Peoria County. Leave innovation to the private sector, big government. Just stop the over-burdening regulations and get out of our private sectors way. Our government is ill- equipped to predict the industries of the present, much less the future. Sure, follow China, who may have had or has huge losses in solar and wind government backed projects never reported to the outside world, after all that is where our government is getting their money. Some of the information on my addendum to the Tea Party release comes from the WSJ. 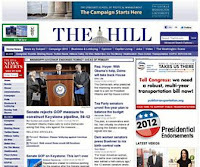 The Wall Street Journal, the best source for accurate information of any printed media in the U.S.A.
A man named Steven Spinner, who bundled together over $500,000 in donations for Barack Obama in 2008 and was rewarded with a cushy Energy Department gig, has been exposed for lobbying the White House on behalf of Solyndra despite the fact that his wife was working for the law firm representing the now-defunct company! The White House was eager to approve an ill-advised loan to the solar energy company, in part due to Spinner's prodding. And after the Obama administration has so richly provided for him and his wife, campaign finance documents show Steven Spinner is again bundling over $500,000 for Obama's reelection campaign! This corrupt you-scratch-my-back-I'll-scratch-yours attitude is what turned Washington into the cesspool it is, and it's exactly the kind of corruption that Barack Obama ran against in 2008. In addition to Spinner's pay-for-play shenanigans at the expense of taxpayers, the executives of Solyndra TOOK THE FIFTH AMENDMENT WHEN TESTIFYING TO CONGRESS! Bill Dennis came by to help[ me better understand Facebook. I believe I erroneously turned many people away who wanted to be friends on my site. If you are one or know someone who I didn't "confirm" please contact me again, if still interested. I also plan to do more reading and posting on Facebook in the future. Sorry for offending some. It was through my ignorance of how the system worked and partly because I had a lot of problems with this site that Bill also helped me clear up. Jeff and Chris were here today from Comcast. They believe they have found the problem and it was Comcast all along. We now have an extra modem as the previous Comcast repairman convinced us the old one was dead. It wasn't the modem. It was problems outside up a pole. So anyway, my frustrations have been solved (they think). For my readers, I'll try to post more now. But I am to the point where I need someone to help me and who might want to research my drawers of materials or maybe take my files when I retire (again). inShare inShare17 War is on its way in the Middle East as Muslim countries are determined to force a showdown over the future of Israel, Ronald Reagan’s assistant defense secretary Frank Gaffney warned in an exclusive Newsmax.TV interview. RiverPlex- Is it Working Out? I re-run this article on the RiverPlex as the City Council gets ready to approve, I believe, the building of the new downtown Marriott that puts the property taxpayers at ONLY an approximately $35 million dollar risk. I re-print this as a reminder that not ONE publicly financed project in Peoria County has met it's projections in the past 10 years. This JS headline on August 21 about the RiverPlex is a clever play on words. Yes, how is it working out? Exactly as I said it would. Another missed projection similar to the "O'Brien" Field where attendance was down considerably this season (188,000) while minor league baseball attendance nationally, was up 1%. On 12/2/98, Rocky Vonachen was quoted in the JS that the ball park would pull in 300-400,000 people in a six month period. Rocky also said the ballpark couldn't exist alone and would need fill-in like concerts,etc. He was right. Another year of under 200,000 in attendance, many of them kids or courtesy tickets to advertisers and probably around $5 million left owing the banks, then what? My accountant said no need to send him any more year end tax forms as I have no move value to right off. If I have none, then neither do any of the original investors, right? Back to the RiverPlex. The article said the Riverplex is operating in the red, never in any year, able to meet the principal and interest on the money borrowed. Still owing $6.25 million plus interest on the original $10 million loan. Which means in 10years the PPD has only been able to retire $3.75 million of the original loan leaving $6.25 million debt plus interest, to be paid out over the next ten years. Maybe, or it may be extended another 10 years. While public facilities are seldom expected to make a profit, PPD officials promised the RiverPlex would be making in excess of $500,000 a year!! Back to the Chiefs. (I put "O'Brien" in quotes because allegedly, when their building naming rights ran out, they did not renew their contract and allegedly get their name on this stadium for free as Chief management has never been able to sell naming rights to anyone else). Back to the RiverPlex. Here is what Park President Cassidy said to the JS in an article dated 3/21/99, "The financial analysis done by the Benefield Group, a consulting firm hired by the park, (Merle's recollection is a figure around $50,000) will be able to support its operations and support up to $6 million in public bonds). The PPD as noted borrowed $10 million and 10 years later still owes $6.5 million). Park Board President Cassidy continued, "Most, if not all, the bonded indebtedness will be paid through RecPlex operations". Are consultants ever right or do they alter figures to fit the ambitions of those who pay their high prices? Hm. All RiverPlex costs such as Social Security, retirement, FICA, insurance, etc., are charged to various park funds OTHER than the RiverPlex to make the whole RiverPlex deal look financially stable. Cassidy was also quoted, "Contrary to media reports, there will be no required membership fee. Wrong. If you want to become a member, you pay $49 per month for an individual and $80 for a family, undercutting the privately owned, property tax paying clubs like the Clubs at RiverCity. While St, Francis paid $4 million before construction started, they still pay $400,000 a year to use the RiverPlex. Abandoning, I believe, a much more accessible site they operated in Pioneer Park. (A high up St. Francis official told me by phone that St. Francis got the "short end of the stick" and were most unhappy with the deal). While the PPD collects over $13 million a year in property taxes from those in the park's taxing district almost 50% of the RiverPlex users come from outside this district and do not support the deficits of the club. Most of these figures are taken from the previously mentioned JS article by reporter Dave Haney on August 21, 2011. Yesterday, I played tennis in a "cloud of dust" at the Glen Oak Park whose courts may still be threatened by the proposed basically unneeded parking lot for the zoo which has easily survived two seasons without additional parking. In the meantime, unseen by the public, many acres of park owned property continue to erode and extend at least one major earth delta into the Illinois River while the cannons sink at the polluted Glen Oak Pond and playgrounds exist without toilets or running drinking water. And user fees for other places or events keep rising. The park keeps counting on a rising EAV and so far they have been accommodated as note the rising evaluations of properties that are shrinking in value. My home is an example. Appraised at $218,000 but assessed at $254,000. Park Super keeps bragging about the hundreds of thousands of people they accommodate yearly, but in reality, many of these are the same people. The RiverPlex hosts many events that could be hosted by tax payer paid facilities such as public schools and private tax paying other entities. So you could say the facility is "working out" while occupying valuable riverfront swapped for some vacant and basically unusable city property at the equal rate of exchange at $5 per sq. ft. as appraised by local appraiser, James Klopfenstein and recommended by Tom Tincher. What a deal! And the majority of the City Council approved it. Some of them, keep getting elected. Governments in trouble. Look up history. I do. I like Ray and the LaHood family. But Ray's ego? caused him to be found at the wrong place at the the wrong time. Ray seems to have forgotten that to fund hi-speed rail and long neglected infrastructure there must be money left over to "build". After paying billions for engineers, consultants, then more engineers and more consultant types. Plus the purchase of property where needed as for hi-speed rail. Plus the slow speed of union workers and apparent disorganization of our highway planners as many of us have noted over the past couple of decades. Ray supported the attempt to force Florida to accept a couple of billion from his department for engineers and consultants and land purchase to build high speed rail between Orlando and Tampa Bay, a distance of 80 miles. The Republican Florida governor was smart enough to realize that the feds were giving just enough money to get the project started and then Florida would have been stuck with the completion of this guaranteed "boondoogle". Yep, Ray, time to hang it up and come back to Peoria to help support a highway to Chicago or a ring road in Tazewell County plus a new bridge across the river. Main recipient of the probably 600 million dollar project? Guess who? I'll give you a hint, Ray's major campaign contributor plus all engineering and consulting firms and developers, also big contributors to politicians who love to spend OPM. Politicians learn it's easy to sell any project if it means jobs even if the country has to keep borrowing from China types. Note that Obama is FINALLY stating that he supports free trade with South Korea, Panama and Columbia. Now we will see how long it takes the Democrats (and a handful of Republicans who were elected despite living in union strongholds) to agree to get a bill to Obama's desk that he will sign. Another sign of the presidents realization that he may not be reelected if he keeps allowing his cozy relationships with union bosses and "Occupy Wall Street" types to run this country into a populist and Socialistic state. Rahm Emanuel? Is He Getting the Message? Chicago Mayor Emanuel is attempting to "clean" up Chicago waste hauling corruption. Emanuel was elected mayor despite most all of Chicago's unions backed his opponent. It is apparent that from Obama down, this country is noting that the power held over Democrat party leaders, is slightly weakening. And not just the Democrat leaders. Left Behind Or "Teaching To The Test"
Of course, I am not an educator but I do have a modicum of common sense. Which is quite a bit more than a majority of our countries leaders. I determined that NCLB was a system designed by people who "lived in ivory towers" whether they were educators or politicians or others who know better than people like myself. Guest post by Dr. Jeffrey N. Golub. The story goes that, some years ago, a Midwestern university decided to build a new library on its campus. So an architectural firm was commissioned to design and build the building. Within weeks after its opening, however, the new library began to sink into the ground. Seems the architects had not factored in the weight of the books. This tale, it turns out, is actually an urban-legend that has been circulating among students on college campuses and elsewhere for years and years. The situation never actually happened, but I mention this story anyway because it seems a pertinent analogy to describe the problem that plagues the Common Core Standards that have only recently been 'built'. They, too, are not 'well-grounded,' so to speak, because the authors of the standards have failed to factor in some crucial elements or aspects of instruction. This failure of foresight and insight will surely cause the standards to 'sink' - to become ineffective, inappropriate, and intolerable. The biggest problem with this 'sinking' that is sure to happen is that the students, teachers, and indeed, whole school systems that will labor under these burdensome 'goals and expectations' will sink right along with them. 1. The standards may be standardized, but the students are not. Students are different. They have different needs and abilities, different interests and concerns; they come from different backgrounds and bring different life experiences and different work habits to the classroom and to their study of the content. Imposing a restrictive structure and set of expectations - and insisting they all move through the same content at the same time and in the same way doesn't make much sense, does it? 2. Reading comprehension involves much more than simply learning information from the text. Of course it is important for students to gain knowledge from informational texts, but competent and comprehensive reading instruction engages students in practicing and developing so many more skills with so many more kinds of literature. Reading poetry, short stories, novels, and so many other literary genres engages students in constructing, negotiating, comprehending, and communicating meanings, and these thinking skills and language competencies are the central business of just about every English class. Where are the goals and expectations for students' ability to engage in transactions with literature (Rosenblatt) and create envisionments (Langer) and experience the universe of discourse (Moffett)? 3. The world of the future that students will inhabit may not be exactly the same as the current world. The stated goal of the standards is to prepare students for college and careers, but we don't know for certain what careers and opportunities will become available by the time the students complete their Secondary education. What specific job-related skills and competencies will be necessary? Will they be the same as the competencies required today? Maybe. Maybe not. But, if we are to successfully prepare our students for what lies ahead, we had better look to the future and develop envisionments that will inform our current educational efforts. One envisionment that may have some merit is to adopt a curriculum that develops students' creative, logical, and critical thinking skills. No, the idea is not to teach these skills through direct instruction - such an approach could too easily lead to the establishment of a constrictive and restrictive listing of microscopic sub-goals that would soon reveal the same deficiencies of insight exhibited by the current standards schemes. Instead, the goal would be to design an increasingly complex series of projects to pursue and real-world problems to solve that would immerse the students in these kinds of thinking skills. The idea is to set up situations in such a way that students would need to draw upon, and thereby develop, their creative, logical, and critical thinking skills. Marion Brady, a distinguished director of instruction, teacher educator, author, and newspaper columnist in Florida, has already designed such an innovative curriculum in which the students engage in what he calls 'Investigations.' His curriculum guide, titled "Connections: Investigating Reality - A Course of Study" and available for free download on his website, outlines collaborative projects in which students investigate and explore patterns of information, relationships, people demographics, environment, shared ideas, and the dynamics of change, among others. Such a series of projects and problems depend heavily on students' thinking skills and reflective behavior. You can't put this kind of instruction on a standardized test...nor should you. 4. The teachers are a critical and integral part of any curriculum development and assessment effort. Teachers are a critical, integral part of the educational enterprise: they are the designers and directors of instruction, after all, and are decision-makers, too. They make hundreds and hundreds of instructional decisions every day: what to teach, and when and how to teach it; who needs extra help and extra time with the work; what choices should be made available to the students for ways to complete the activity or assignment; what texts and other resources should be used for the content under study...and the list goes on and on. No high-stakes test can replace the many kinds of ongoing formative assessments and kid-watching strategies that teachers use in their classes every day to determine next steps. Teachers in their day-to-day observations and evaluations of students' language performance, coupled with their own judgments of their students' needs and progress, help teachers to shape and shift their instruction to be continually responsive to the students' emerging competence and literacy through language. Teachers do not have a problem with accountability. They are responsible for making learning happen for their students, after all, so they welcome authentic assessments of the progress that they, and their students, have made. But they do object, and rightly so, to a situation in which they are being held accountable for a curriculum over which they have no control. The various standards schemes - with their accompanying high-stakes tests - have substantially taken away teachers' control of their instructional efforts and hampered their work in the classroom. Currently we have a situation in which the teachers' designing and decision-making functions are no longer valued and are severely constrained, a state in which assessment has deteriorated into a frequent, debilitating series of high-stakes tests that leave teachers with almost no time for authentic, substantive instruction -- instead they must devote their and their students' precious classroom time to 'test-preparation' that may or may not have anything to do with developing students' communication competencies and language performance. It is unfortunate that the teachers and their pivotal instructional roles in curriculum development and assessment are ignored in the Standards, as well as the other crucial elements described above. And so we are left with a 'sinking' document that cannot provide a satisfactory foundation for instruction. But this unfortunate result - an unnecessary and unproductive consequence of these omissions - doesn't have to happen if the authors and other sponsors of the Common Core Standards will stop what they are doing for a moment and consider the critical, integral elements of instruction that they have 'left behind' - that they have not factored into their scheme and structure. These elements are there whether the standards authors acknowledge them or not. To ignore them will surely sink this enterprise. To address them may result in a workable document we can really use to guide our instruction and develop our students' communication competencies and literacy in authentic, engaging, thoughtful, coherent ways. DR. JEFFREY N. GOLUB, teacher, author, and consultant in Seattle, Washington, worked for 13 years as Associate Professor of English Education at the University of South Florida [USF], preparing students who wished to teach English in the public schools. For 20 years previously, he taught English, speech communication, and writing classes at both junior and senior high schools in Seattle. In 1990, while teaching at Shorecrest High School in Seattle, he was one of 10 English teachers in the country to win the State Farm Insurance Company's "Good Neighbor" Award for innovative teaching, and in 1994 he was awarded the University of South Florida's Teaching Excellence award. And he loves chocolate. He can be reached at golub62@comcast.net. > anything other than an access code for the room! > Ever wonder what is on your magnetic key card? > e. Customer's credit card number and expiration date! > shopping at your expense. > previous guest's information is erased in the overwriting process. > drawer at the front desk with YOUR INFORMATION ON IT! > lifted off with any simple scanning device card reader. > the electronic information strip! > Information courtesy of: Metropolitan Police Service. > PLEASE FORWARD to friends and family . November 26th is Small Business Saturday It's a day dedicated to supporting small businesses throughout our region. The Heartland Partnership, Peoria Chamber, EDC and Illinois River Road are working with SEVERAL regional communities, organizations and small businesses to make Small Business Saturday a huge success. First there was Black Friday, then Cyber Monday. Now there's Small Business Saturday, the day we celebrate the "Shop Small" movement. It's a day dedicated to supporting small businesses, the heartbeat of our communities. Join us and shop small business all throughout the region on November 26th. We have launched the Small Business Saturday Central Illinois Facebook Page. Find it, Like it and then start sharing your stories about small business and Central Illinois. It's easy to get involved! Your business can post special offers for shoppers, communities can share stories about their small businesses and business owners will have access to innovative marketing tools and social media resources to help them connect with customers. Visit the national movement at www.smallbusinesssaturday.com and check out their Facebook page for all kinds of great information at Small Business Saturday. Please "like" these pages and contribute by sharing your stories and telling all of your friends about Small Business Saturday Central Illinois. We'll be adding several new videos that highlight what Small Business Saturday means to our region and our businesses soon. Visit our Facebook page next week to see them! We've had enough problems with Comcast causing me to seriously consider stopping using my computer. Today was somewhat typical. Computer wouldn't open after wasting a couple of hours trying different ways advised by Comcast and MSN. Hust as my personal computer technician arrived, my home page opened. As soon as he left, same problem. Comcast is sending technician over Wednesday. About the 5th time recently. Now I'm open again and will try to post this blog. I could not recommend either MSN or Comcast. Way too many problems to make blogging enjoyable. Herman Cain is running for president. He’s not a career politician (in fact he has never held a political office). He’s known as a pizza guy, but there’s a lot more to him. He’s also a computer guy, a banker guy, and a rocket scientist guy. Mathematician for the Navy, where he worked on missile ballistics (making him a rocket scientist). Computer systems analyst for Coca-Cola. VP of Corporate Data Systems and Services for Pillsbury (this is the top of the ladder in the computer world, being in charge of information systems for a major corporation). All achieved before reaching the age of 35. Since he reached the top of the information systems world, he changed careers! Business Manager. Took charge of Pillsbury’s 400 Burger King restaurants in the Philadelphia area, which were the company’s poorest performers in the country. Spent the first nine months learning the business from the ground up, cooking hamburger and yes, cleaning toilets. After three years he had turned them into the company’s best performers. Godfather’s Pizza CEO. Was asked by Pillsbury to take charge of their Godfather’s Pizza chain (which was on the verge of bankruptcy). He made it profitable in 14 months. In 1988 he led a buyout of the Godfather’s Pizza chain from Pillsbury. He was now the owner of a restaurant chain. Again he reached the top of the ladder of another industry. He was also chairman of the National Restaurant Association during this time. This is a group that interacts with government on behalf of the restaurant industry, and it gave him political experience from the non-politician side. Adviser to the Federal Reserve System. Herman Cain went to work for the Federal Reserve Banking System advising them on how monetary policy changes would affect American businesses. Chairman of the Kansas City Federal Reserve Bank. He worked his way up to the chairmanship of a regional Federal Reserve bank. This is only one step below the chairmanship of the entire Federal Reserve System (the top banking position in the country). This position allowed him to see how monetary policy is made from the inside, and understand the political forces that impact the monetary system. Writer and public speaker. He then started to write and speak on leadership. His books include Speak as a Leader, CEO of Self, Leadership is Common Sense, and They Think You’re Stupid. Radio Host. 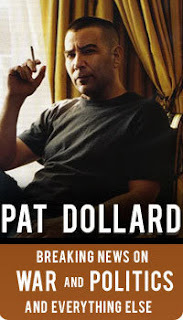 Around 2007—after a remarkable 40 year career—he started hosting a radio show on WSB in Atlanta (the largest talk radio station in the country). It's easy to see that the majority of the protesters are anti any cause, veterans at protesting, retired union people with good health and retirement benefits, the un-employable, Socialists, vagrants and bums, ex-hippies, Obama supporters who fear he will lose the 2012 election meaning they would lose their "equalization" rights, some excessive welfare benefits, far left liberals and a few well-meaning but poorly informed who got caught up in the moment. Un-employable? I was a business owner for 28 years and a Sales Manager for 5 years. I can tell you about the people I interviewed that were un-employable. Some I did not hire were hired by the public sector; a sector that relies on the profits of the private sector. The public sector doesn't need to make a PROFIT. They just raise fees and taxes while going into massive debts as this country is now witnessing. Most of the anti protestors seem to come from the public sector. Not to mention the college kids who come from affluent families (many who made their money BECAUSE of Wall Street) or are on free, taxpayer funded, scholarship rides. All the while many are doing drugs and seeking instant gratification. If you want to close the Federal Reserve, elect politicians who would come up with a better system. I'm no big Federal Reserve, stockbroker, consultant and analyst fan, either. My message to all of them is oust Obama and get this country back on a sound financial basis, develop a personal work ethic, if you can't find ANY job, move or go to Alabama to replace the fleeing illegal workers, or get an education in something besides how to organize protests and studying lies about global warming. And while you are protesting, complain about Obama blowing at least a billion of vendors, taxpayer losses on Solyndra. Yes, at least a billion counting all the costs connected to any huge bankruptcy federally funded. Am I happy with arrogant, greedy, wealthy elites; no, and I've said so on this site more than once. But I protest by being informed on as many issues as I can, reading non-fiction and watching non-fiction TV, publishing my researched blogs, my LTE's and my votes. Plus running for office and being elected without a dime of taxpayer money. Peoria County had to borrow money to meet some payrolls when I joined the County Board. Ten years later, I retired leaving the county with a balanced budget and large fund balances. Hey, I'm distressed too by a lot of crooks, some many protesters helped elect, remember Blago and Ryan here in the great state of a Democrat, going broke, the State of Illinois. Wake up, the United States of America. The Socialists, arrogant union bosses and populism are killing this country. Right now, I'm most distressed by the actions of our current president. And a goodly number of local politicians. Flying mainly under the radar (the JSEB did issue a concern about spending for this project on 2/9/2010) is the County and the City of Peoria plans to open a business center (PAOC) to develop a mixed based incubator for minorities and women-owned businesses that is sponsored by the Heartland Foundation who had signed a Memorandum of Understanding on January 31, 2006 with LPA Associates. I attended the first Town Meeting held on June 29th, 2007 at WTVP Studios. The consultant presenting was Lawrence P. Albertson (LPG). He predicted the new of 30,000 sq. ft. for the project. I was the only County Board Member attending. Since then this project has moved along slowly with the County setting aside $400,000 for what it describes "a location with staff that would provide a centralized location for prospective business owners to get all the information they need to start a business. Currently, entrepreneurs looking to start their own businesses have to visit anywhere from 4 to 7 places for consulting, loans and more." A sign of our times: When I opened my business in 1964, I had only to consult with my landlord, bank and my suppliers. After 6 months I hired my first salesperson and went from $0 to $11,000,000.00 in 28 years, while trying to borrow money from some of the tightest local banks in the country. And yes, I was a minority as I was not from Peoria and the banks wanted to know who my Dad was and open being told he was a dirt farmer, were reluctant to lend me any money, Commercial Bank offered a $5,000 line of credit which I accepted. Today, we are borrowing money from China to build sidewalks. This Opportunity Center appears to be an offshoot of a May, 1993 program to "Build Peoria", a job training center estimated to cost $2.3 million, not including staffing costs, etc. Perhaps parts of this program have gotten off the ground but the plan never went into full effect. It would appear to me that most entrepreneurs would need job training BEFORE trying to own a business. Unless government funded like, say, FireFly. I trained for 8 years with, at that time, one of the best companies in the country. With the issuance of a 27 page study bu LPG, came the stunner, the acquisition of sites at 725-741 W. Main, renovation and infill construction came to $4,500,000.00 not including cost of furnishing, staff and staff training, more consultants, etc. And no estimate of operating costs. It is interesting to note who was or is on this PABO committee: Bradley's Bob Scott; the projector of the $14 million a year in new spending that the new museum will bring into the Peoria, Roger Luman of Bradley, Sally Hanley, EDC, Susan Gorman of ICC and the Reverends Pierce and Criss. Rachel Parker, who served with the cities EDC, a short stint on the #150 school board and now a County Board member and with Patrick Urich, now city manager and a strong supporter of the concept, expect this this project to keep moving forward despite a double dip economy. Business people: "Minorities" will be using your dollars when the Opportunity Center opens, to launch new businesses competing against you. While you, if like me, probably never received a dime in taxpayer subsidies. LPG predicts an 87% survival rate of small businesses coming from incubators. Coming from a consultant, that appears to be "ABOUT" correct. This article is just another call to Peoria to "Wake up". The public education system is so badly broken, it make take decades to repair the damage. Nothing new here to me. I've been saying much the same thing since I ran for #150 school board in 1994. The JSEB recommended Deissler, she won ans served for 10 years, Baietto added his name at the last minute making 6 people running for one seat. The woman won and Baietto and I split the male vote. From The Washington Post, Tuesday, September 27, 2011. See http://www.washingtonpost.com/blogs/answer-sheet/post/who-won-a-2007-bet-on-no-child-left-behind/2011/09/26/gIQAwBBi0K_blog.html ; The piece also appeared on the Economic Policy Institute website. Thanks to Bob Schaeffer, Public Education Director at FairTest: National Center for Fair & Open Testing for bringing this piece to our attention. * and the boredom and terror of young children who no longer looked forward to school but instead anticipated another day of rote exercises and practice testing designed to increase scores by a point or two. Diane morosely predicted that, despite this evident disaster, NCLB would certainly be reauthorized with its destructive testing and accountability provisions intact. After all, she moaned, it had the support of elites from both parties, the Washington think tanks, the big foundations, and the editorial boards of The New York Times, The Washington Post, and other influential media outlets. No serious opposition was visible. How could the law not be continued? Indeed, she worried, its supporters were so removed from the reality of classrooms, so impervious to evidence, they could well decide to intensify requirements that schools chase phony test score gains to the exclusion of all else. I smugly responded, "not a chance." The NCLB accountability system is so self-evidently calamitous that its principles will never survive congressional reauthorization. Don't pay attention to elite opinion, I said. The internal contradictions of a law that orders all children nationwide to perform above-average are so explosive that any attempts to "fix" them (as policymakers were then vowing to do) would never be able to claim a congressional majority, no matter how obstinate NCLB's supporters might be. For example, I said to Diane, consider the law's absurd demand to prohibit the normal variability of human ability so that all children, from the unusually gifted to the mentally retarded, must achieve above the same "challenging" level of proficiency by 2014. The only way states could fulfill this requirement would be to define "challenging proficiency" at such a low level that even the least talented of students could meet it. NCLB enthusiasts would then cry "foul" and insist that a reauthorized law allow Congress to dictate a national proficiency standard. But this, in turn, would make the law unacceptable to supporters who had gone along in 2002 only because they felt assured that federal intrusion into state control of education would be limited. Or if, instead, NCLB proponents attempted to mollify critics by giving schools more flexibility - for example, by permitting them to escape condemnation for not meeting impossible academic benchmarks by citing other measures, like attendance rates or parent satisfaction - the NCLB enthusiasts would balk at this backdoor way of "leaving children behind." There is no way out of this impasse, I assured Diane. NCLB will limp along past its 2007 expiration date, with no possible map for reauthorization, with temporary annual continuing resolutions while proponents fruitlessly attempt to conceive of ways to climb out of the holes into which they had dug themselves. Eventually, I told Diane, by 2016, we'll still be requiring all children to be proficient by 2014, and declaring virtually every school in the country to be failing. At some point, I predicted, some secretary of education would have no choice but to issue waivers from the law's requirements to every state in the country while the law itself remained on the books, an embarrassing monument to policy foolishness. Everything I predicted has now come to pass, and I should be able to call Diane's hand and collect my dinner at the River Café. But I'm afraid I must concede. I won the bet on technical points, but Diane won on the merits. The glass really is half-empty, maybe more so. What I had not anticipated was that a secretary of education (Arne Duncan, it turned out to be) would use his authority to grant waivers to states (now all of them) unable to meet NCLB's requirements, conditioning the waivers on states' agreements to adopt accountability conditions that are even more absurd, more unworkable, more fanciful than those in the law itself. Mr. Duncan's philosophy has been revealed: if a policy fails, the solution should be to do more of it. So the secretary is now kicking the ball down the road. States will be excused from making all children proficient by 2014 if they agree instead to make all children "college-ready" by 2020. If NCLB's testing obsession didn't suffice to distinguish good schools from failing ones, states can be excused from loss of funds if they instead use student test scores to distinguish good teachers from bad ones. Without any reauthorization of NCLB, Mr. Duncan will now use his waiver authority to demand, in effect, even more test-prep, more drill, more unbalanced curricula, more misidentification of success and failure, more demoralization of good teachers, and more needless stress for young children. The Obama administration is presenting its waiver proposal as the grant of new "flexibility" to states. Yes, perhaps. If states agree to implement Mr. Duncan's favored reforms of evaluating teachers by student test scores and expanding charter schools, and if states promise to meet even more impossible "college ready" standards established by the federal government, the secretary will let them figure out on their own how to do it. Some Republicans have complained. The secretary, they say, cannot do an end run around Congress by implementing his own more extreme version of No Child Left Behind, when he has been unsuccessful in getting Congress to enact these very same proposals into the law itself. But these critics, most of whom supported NCLB in 2002, have only themselves to blame. They initially wrote into the law the right of a secretary to issue waivers based only on his or her own personal fantasies about what constitutes a state pledge to increase (sic) the quality of instruction and improve academic achievement - to be precise, in NCLB's Title IX, Part D, Sections 9401(b)(1)(i) and (ii). And Arne Duncan has gotten away with this before. Here, Democrats should be ashamed. In February 2009, when the American Recovery and Reinvestment Act (the ARRA, or "stimulus" bill) was enacted, Republicans charged that the law had little to do with job creation or economic growth, but was only a subterfuge for the Obama administration to make social policy without congressional debate. Mostly, the Republican charge had no merit but in the case of education policy, it hits the mark. The secretary has been distributing more than $4 billion in ARRA grants only to states that entered and won his Race to the Top competition by promising to raise standards even higher than those unachievable under NCLB. These so-called stimulus funds are not distributed to states with the highest unemployment rates but to those that outbid others by promising to establish data systems to evaluate teachers based on students' math and reading scores, be most ruthless in firing teachers and principals in schools with low scores, and replace them with the most rapid expansion of charter schools. The Duncan policies, like NCLB, will eventually implode. But the damage being done to American public education has now gone on for so long that it will have enduring effects. Schools will not soon be able to implement a holistic education to disadvantaged children. Disillusioned and demoralized teachers who have abandoned the profession or have retired are now being rapidly replaced by a new generation of drill sergeants, well-trained in the techniques of "data-driven instruction." This cannot easily be undone. Is Greece Socialism Coming to the United States of America? Or is it almost here now? Summing up actions of the Greek political class: "The present government has done absolutely nothing during the last 12 months to speed up privatization, reduce the public sector or open up closed professions", said Athanasios Papandrpoulous, a leading economic analyst. "In these 12 disastrous months, it has not fired even one civil servant. The only thing it is doing is trying to tax the private sector out of existence. Why should we believe they will do something different now?" My wife and I had planned to visit Greece someday. Not ever now as it would be too dangerous as Greece is heavily unionized. Taken from and article in the WSJ by Takis Michan on 9/20/11. A recent report says that International Longshoreman and Warehouse Union was fined by a Federal judge for blocking a train, storming a grain terminal, overpowered security guards, damaged railroad cars and dumped grain. How much was the fine? $250,000, a pittance plus the fine is being protested and will most likely never e paid. The union got enough scare tactics to warn non-union people. Never, never, give up your guns, as we may be heading toward disaster for those of us who believe in capitalism, no matter how imperfect it is be at times. My file is full of actions of thuggery similar or worse than this these violent actions. "You guys slash my tires, stab me in the neck, try to beat me up," the construction company official explained to the union organizer. Given all that, he asked, why should the company hire such aggressive union militants? "The positives are that the negatives you are complaining about would go away," the union operative reportedly replied. According to the Buffalo News, the "negatives" include hot coffee thrown at independent-minded workers, sand dumped into the engines of company vehicles, and the wife of a company representative threatened with sexual assault. And the union toughs just might get away with it. You see, ever since the Supreme Court's infamous 1973 Enmons decision, union bosses have been granted immunity from federal prosecution for acts of violence and vandalism they orchestrate in the so-called "pursuit of legitimate union objectives." AFL-CIO union lawyer Jonathan D. Newman told the Buffalo News that "we simply want to make sure that the [federal law] is not interpreted in a way that could have a chilling effect on legitimate union activity." The union violence in Buffalo is hardly an isolated incident. As you may recall, the Associated Press reported that hundreds of Longshoreman union militants held security guards hostage for hours at the Port of Longview in Washington State on September 8. Union thugs reportedly committed numerous acts of vandalism and violence including breaking windows, cutting brake lines on railroad cars, and threatening police officers with baseball bats. Weeks later, local police have only made two arrests in connection with the September 8 raid. And now Longshoremen union officials have launched a Wisconsin-style recall campaign against the county sheriff investigating the raid. Union officials know that if they intimidate local authorities, they can get away with anything. The loophole in federal law ensures that union officials who may have orchestrated and encouraged the union violence may never be brought to justice, especially where they can intimidate and use political connections to stop local or state prosecutions. That's why the Freedom from Union Violence Act (FUVA) is so vital. To learn more about FUVA and how you can help urge Congress to take action, please click here. Your National Right to Work Committee has an aggressive plan of action to force the politicians in Washington, D.C. to stop turning a blind eye to union violence. The WSJ incorrectly quoted Governor Christie. Here is what Christie said. "I favored requiring parental notification in the case of minors seeking abortion." Howerver, he did not push for such a change in legislation. Another outstanding book compassionate intellects and all others should read. Don't think the many Muslims, radical or not, are intent on taking over the majority of the world and forcing Sharia Law on Christians and others who don't follow the Koran and Sharia Law? Younger people than I need to pay better attention. Many in Germany did but not enough of them. They got Hitler and his thugs, Italy got Mussolini and his thugs and others followed. Cuba, Argentina, Venezuela, Libya, Iran.......Now our greed, our arrogant elites, too many inept politicians and bureaucrats, too many overly compassionate people, our radical environmentalists and our weak leadership on so many levels led by the current president of this country, is making the United States of America, a country with much unhappiness, worrying about security, personal and financial, disappointed in their future outlook, and disturbed people. Our attempts to correct problems are made worse by too many people wanting to be "politically" correct. Those of us that are concerned about the future of this country should become more active and outspoken. Fortunately, we have a generally correct group of Tea Party and tea party type people becoming more active. What do we need to prevent further decay? 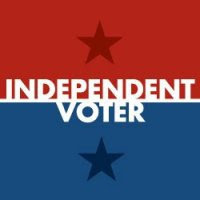 Find new leadership both within the Democrat and the Republican parties and get the Independents and others to sort out in their own parties who are the ones that can lead us out of this morass. Should it be Herman Cain, a black man? From what I read, see and hear so far, I could support him. Or a Ryan (not George) or anyone who can win the election and oust Obama and his tribe. Caucasians will be a minority before year 2030. I originally said 2050 but I may need to change it again as I study birth rates across this nation. No wonder so many of the white population are opposed to abortion. As long as we have the right leadership no matter whether they are black, Hispanic or Jewish. Muslim leadership at high levels of government would not be in the best interests of this country, even though like Germany, where a large number of Germans opposed Hitler, a number of Muslims support the best interest of this country, but they, overall, have not spoken out about the disturbing actions of many of their radical elements. Read more widely and you will find out why. Not all voters think Obama was the wrong person to be president. Polls did and do show that at least 40% would vote for him again just as polls showed that 30% of voters would have still voted for Blagovich, even after he was indicted. Believe it can't happen here where it already is in some of the larger cities.starting in the big cities? Europe would not have been saved by the likes of the compassionate Chamberlain. It took leadership like Winston Churchill and Franklin Roosevelt. Can we come up with the right person in these difficult times?